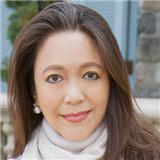 Lily Liang of Strand Hill Properties, Christie's International Realt Estate has been a top agent in high-end residential real estate since 1981. To date, Lily has nearly $1 Billion in transaction sales throughout her career. During her time at Coldwell Banker, she sold the highest volume of multi-million dollar properties on the Palos Verdes Peninsula. Lily works one-on-one with her clients and markets each property individually, giving personal dedication to each client to overcome the challenging market. She always tries to perform above their expectations. Lily has created a legacy in the industry through her outstanding reputation because of her belief in ethics and principles. In today´s real estate market, not just any agent can get the job done, an agent with Lily´s caliber and quality will really make the difference. Lily believes that her unique background, having lived in different countries such as, Asia and Europe, ultimately gives her more understanding and allows her to appreciate other cultures. She is a firm believer in "The World Is Flat" by Thomas Friedman and "Smile Southern California" by local resident James Flanigan. Lily is fluent in Mandarin and she embraces the diversity and contributions of all cultures. Lily has gained the trust of her clients, appreciates their referrals and is now working with the second generation of her clients. Having lived on the Palos Verdes Peninsula for over 30 years, Lily is familiar with what is happening on the Hill. Lily´s daughter Jennifer and her husband work at Harvard University and son Michael is applying to graduate school. Lily´s husband is a world-renowned international corporate-tax attorney. While she was a board member of the American Asian Symphony, she enjoyed the beautiful music and helping raise money for scholarships. Lily also served as board member for LABioMed. She admires that LABioMed has more than 1,000 researchers working hard to help build a foundation for today's medicine. Lily is a strong supporter of the local libraries and PV Education Foundation. She believes that her past position as an Investment Consultant plus her international connections and online presence, aid her in the success of marketing homes on the Peninsula. Lily's professionalism, sincerity, integrity, pleasant presentation and hard work have earned her an outstanding reputation throughout the industry.